Mr. Charles D. Porter, 95, of 735 Brockett Road, Dolgeville, New York passed away on Tuesday, January 22, 2019 at Little Falls Hospital. At the time of his passing, he was comforted by his daughter, Barbara. He was born on January 8, 1924 in Ticonderoga, New York and was the son of the late, Charles and Gladys (Catlin) Porter. Charles attended Hague Central School. 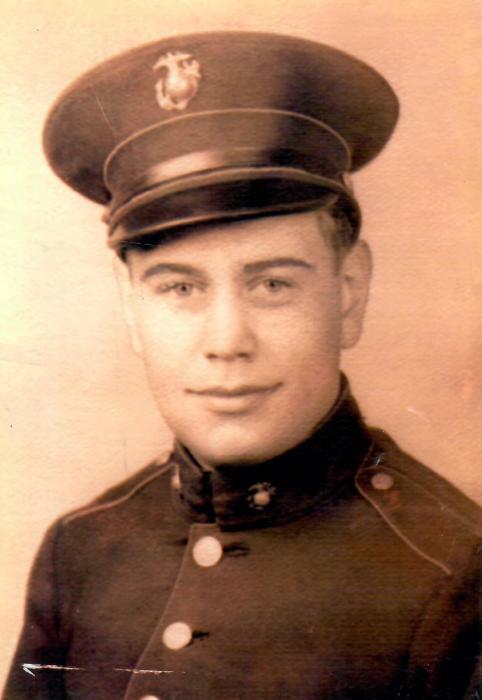 On July 2, 1942, Charles enlisted in the United States Marine Corps serving in combat in the South Pacific during World War II. During his enlistment, he was awarded the following medals; Marine Corps Good Conduct Medal, American Campaign Medal, Asiatic Pacific Campaign Medal, and the World War II Victory Medal as well as the Presidential Unit Citation Ribbon, the Combat Action Ribbon, and Four Bronze Stars. 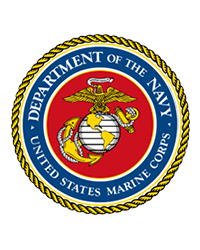 He was honorably discharged as a Corporal after four years of dedicated service on July 3, 1946. On October 12, 1948, Charles enlisted in the United States Navy and served two-four year terms with the U.S. Naval Reserve, being honorably discharged on July 10, 1957. Mr. Porter was united in marriage to Marian E. Davis on August 31, 1947 in the Universalist Church in Dolgeville, New York. They celebrated nearly 70 years of marriage together until Mrs. Porter passed away on July 22, 2017. Charles was formerly employed by Dolgeville Central School in the Maintenance Department and worked as a custodian for 25 years until his retirement in July of 1981. In his younger years, he also worked at Daniel Green Shoe as well as Dalson's Shoe in Dolgeville, NY. Charles enjoyed many things which included being an avid reader, traveling with his wife and friends, especially camping at Pecks Lake, playing Bridge, Pinochle, and Shanghai, playing Santa at Christmas and was a long time volunteer at Little Falls Hospital where he was affectionately known as the "Tootsie Roll Man" for handing out Tootsie Rolls to staff. He was also an involved community member as formerly being involved with the Dolgeville Volunteer Ambulance Company, the Dolgeville Volunteer Fire Department, Dolgeville Police volunteer, a Wingman for the Town of Manheim D.P.W., the Grand Lodge of the Free and Accepted Masons of the State of New York and the Dolgeville Masonic Temple, the Marine Corp League, the Argersinger-James Post 6392, V.F.W. where he served as a Former Commander and a parishioner of St. Paul's Unitarian Universalist Church in Little Falls, NY. A special highlight his life was when Charles and his wife, Marian, were honored to be named the King and Queen of the 2015 Violet Festival for the Village of Dolgeville. Charles is survived by his beloved daughters Barbara Porter at home, and Linda and her husband, Nelson (Jody) Post Jr. of Salida, CO; his loving grandchildren, Michael Post and his wife, Karina Madden of Salida, CO, and Meredith and her husband, Dave Kintner of California; his cherished great grandchildren, Porter, Orion and Gloria Post all of Salida, CO, and Clara Kintner and Sydney Davis Kintner of Hawthorne, CA; two nephews and their families, Randy Davis of Utica, NY and Greg Davis and his wife, Jean of TN; and several cousins and special friends. He is also survived by a his special toy poodle, Julie and his feline, Cierra. He was predeceased by a brother in law and sister in law, Kenneth and Beverly Davis. Calling hours will be held on Saturday, January 26, 2019 from 10 a.m. to 12 p.m. at Roberts Funeral Home, 3 E. Faville Ave., Dolgeville, New York. A funeral service will be held immediately following calling hours at 12 p.m. (noon) also at the funeral home with Rev. Jeff Frank of St. Paul's Unitarian Universalist Church in Little Falls, New York. Burial will be in the spring in Ingham's Mills Cemetery where he will be laid rest next to his beloved wife, Marian. The United States Marine Corps Honor Guard will accord their military honors at the cemetery. The family would like to thank Charles and Marian's caregivers, Sandy, Deb (The Dutchess) and Shirley for the compassion and care that was shown to them for the last several years, which enabled them to remain in the comfort of their own home. Memorials in his name may be made to the Marine Corps League, 178 Second Street, Ilion, New York 13357 or the Wounded Warrior Project, P.O. Box 758517, Topeka, Kansas 66675-8517. A message of sympathy or a remembrance for Charles may be sent to the family at www.robertsfuneralcare.com.